Culturally, socially, politically and spiritually. I think it goes without saying that things are pretty high-octane and, well, intense, as extraordinary events continue to happen almost daily! What is all this about and what does the remainder of 2019 have in store for us? A glimpse at the “Cosmic Agenda” can be most revealing and gleaned by looking at the astrological influences taking place especially when viewed from a spiritual perspective. From this view it is clear that we are in the midst of several powerful and overlapping astrological cycles and influences that will keep things in a state of flux as shifts continue to take place on several levels. Chaos and turmoil are indeed part of this cycle and the astro-infuences taking place, yet there is an underlying order present and it is from this vantage that I view astrology and the events taking place. 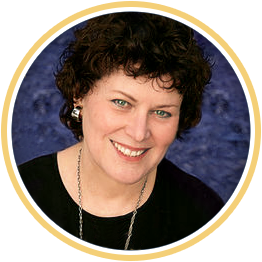 I’m Elizabeth Jones, Astrologer, Tarot reader and eternal student of many topics of a more esoteric and mystical nature. This said Astrology is my first love and here you’ll discover that it is a metaphysical science rich with profound spiritual and inspirational wisdom that can guide you through and better understand the dynamic times in which we live. Interpreting and understanding Astrology’s true meaning and influences can be tricky, to say the least. That’s what I am here to do…offer you a lens through which to access the insights and guidance Astrology can provide. In my several decades of studying Astrology, I have come to know it as an ancient, cosmic language that speaks to the most sacred and also the most mundane aspects of life. As we come to understand this language, it can guide and reveal to us the Cosmic intentions the Universe holds for us. As you delve deeper into the mysterious language of Astrology, you will see that it also reveals an underlying order to our Universe, an order that is reflected throughout creation. When you tap into and align with this order, you will begin to see more clearly your place and purpose in the Universe, experience greater success in your endeavors, increased ease and peace of mind and over time, begin to feel that you are flowing with and not against the natural currents of life. My spiritual passion – both personally and professionally – is keep learning and to share with you about the mysterious universe we live in and unlock its secrets as I’m sure we are meant to do for they hold our hope for the future and for finding our pathway home. My Grandfather and first teacher said to me many yeas ago that from a spiritual perspective it is a great privilege to be alive now, during the Shift of the Ages. This is something I hold dear as it has helped me many times during my life as I’ve faced challenges and arrived at crossroads. Having him as my mentor and guide from an early age was a blessing beyond what I can describe. You can learn more about me here and more about my grandfather and first teacher, Ralph Jones, here. The Monthly Beacon is a 2-page PDF giving you an overview for the month. And it’s free! Go here to check it out and download. and that to assist us in understanding and deal with what is occurring we are being given new tools to inspire, help and support us in navigating the challenges and dynamic shifts of this amazing and dynamic time. As an Astrologer of 40+ years I’ve discovered many new and amazing things about Astrology. My sense is that they have always been there waiting to be revealed at the right time. And now, at this most significant turning point in humankinds evolution, these tools are coming to light, offering us new ways of seeing and accessing the mysteries and depths of our own nature and destiny while also bringing profound insights and keys to navigating these times with greater ease, knowledge and grace. My approach is to stay as open as I can personally to receive this new way to know Astrology and then to bring you those insights through innovative and unique tools, offering guidance for the amazing and transformative times in which we live. In essence to offer you ways to bridge the gap between the Cosmic Light that Astrology points to and the Light within your being. This way of viewing Astrology allows you, whether a novice or student of Astrology, a revolutionary pathway to help you to grasp and utilize this incredibly valuable wisdom helping you to not only better understand and deal with the challenges humanity is facing, but to also awaken you to the highest qualities of your Soul and to discover new tools for expressing your Light in your life. To this end I have created two offerings giving you access to this “new Astrology” that is unique and applicable to the challenges you face and the hopes you hold for your life. These unique tools have been created to bring you greater insights into your own spiritual nature, what is happening on the planet and what your individual role, purpose and path is in this incarnation. Zodiac of Light™ (ZoL) will empower and enlighten you as you discover how to access the truth and warmth of your Soul by activating the Celestial Codes of the Zodiac signs (which you were imprinted with at birth). This will enable you to connect with your Souls spiritual and mystical qualities. Doing so will open pathways for you to attune to and utilize the increased Light available now in the Shift of Ages. You will never see your own sign, or any other, the same again! In Planets of Light™ (PoL) you’ll discover that the Planets are actually Great Beings of Light, here to assist you in many, many ways. You will learn how to engage them to help you access your own Light that is trapped or stagnant in your very atoms, and then to ignite your the Light, and in doing so experience a greater lightness of being. Many have said that PoL helped them to discover their Soul’s intention for incarnation at this pivitol time on the Planet. “I just purchased Zodiac of Light and can truly say I have never see anything like it. I’ve read a lot about the signs of the Zodiac but never anything like this. I feel like I understand my strengths, challenges, gifts and so much more better than ever. I’ll be checking out all the signs so I can better understand my family and friends. Goodness what a resource and from such a spiritual perspective! “Thank you for PoL. It is truly unique. I’ve never found anything like it! I purchased Planets of Light a few days ago, and WOW and more WOW! It is powerful and resonating with me at deep levels and I am so grateful! I feel so very supported, more self confident and a greater connection to the Light. Thank you Elizabeth for the creation of a wonderful system of support.